Drip marketing is a communication strategy that sends, or “drips,” a pre-written set of messages to customers or prospects over time. It’s been the best performing strategy in email marketing for over a decade. TeleDrip is experienced with applying drip marketing across multiple channels to maximize conversions. 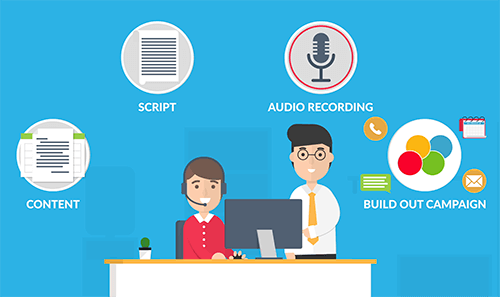 Our team will do everything to get you started including writing scripts and producing audio recordings and setting up your campaign. Intelligently applying a drip strategy to calls and text messaging has resulted in significant increases in conversions for our customers. Consumers are busy and to gain their attention you’ll need well timed consistent follow-up. 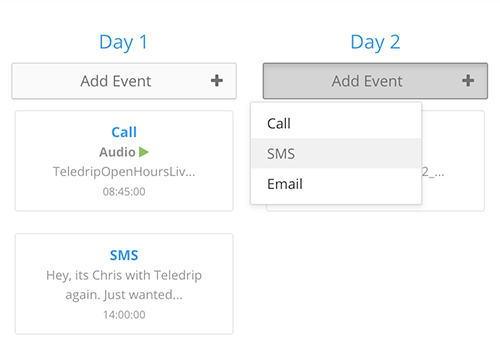 Easily schedule any type of message on a drip with the click of a button. Send calls, text messages, emails, and voicemails to automate your marketing message and drive sales reliably.